Open noon-2pm, 5:30-11:30pm (LO) daily. We're not sure whether to call it casual modern kaiseki or creative Kyoto cuisine, but the food at Agaru Sagaru is exquisite in both flavor and presentation. The nine-course menu follows a traditional kaiseki sequence of preparation styles, and as each dish arrives the waiter provides detailed explanations of the many seasonal ingredients incorporated therein, right down to the origins of the miso paste and seasonings. 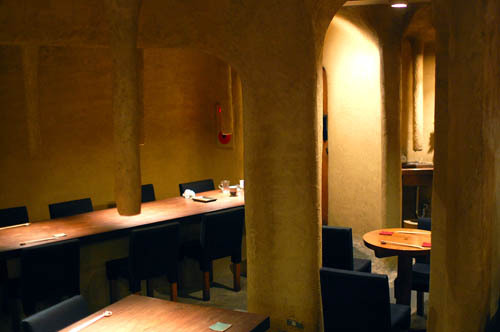 The sake list is brief but well suited to the food, and the unusual grotto-like interior adds to the restaurant's charm. The prix-fixe menu (the only choice at dinnertime) is an incredible bargain at just Y4000. 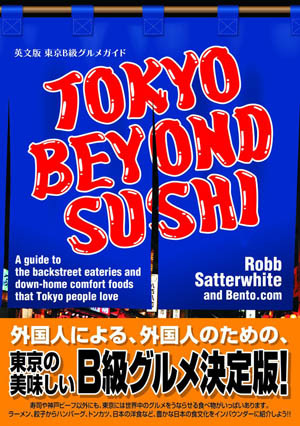 The restaurant's name is a playful comment on idiosyncratic Kyoto-style addresses, and the main branch is indeed in Kyoto; there's also a famous branch in Paris called Guilo Guilo. Shibuya-ku, Jingumae 3-25-8, Takeyama Bldg B1F.